April is the month when several states of India celebrate the New Year of their local calendar. Apart from Nabobarsho in my home state Bengal, Punjab is another state which celebrates with élan Baisakhi, their New Year Day in April. 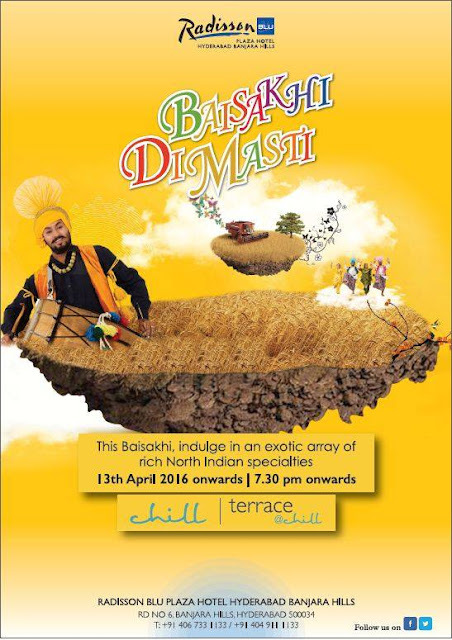 On this occasion, Chill the fine dining restaurant at Radisson Blu Plaza Banjara is celebrating “Baisakhi Di Masti” a festival of Punjabi cuisine. Punjabi is one of the most popular cuisines in India – much loved and much localized. 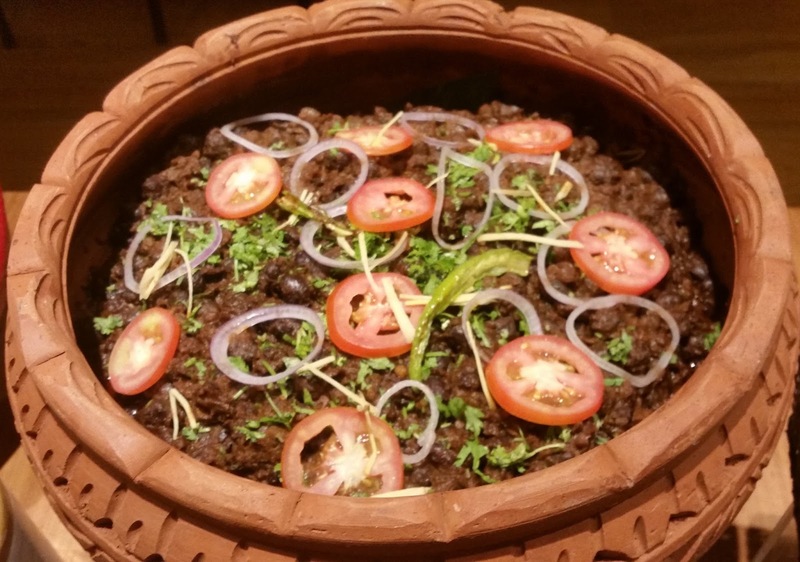 Punjabis love their food, and the cuisine has a huge repertoire of recipes. In some parts of the world, this is often considered to be "Indian" cuisine. 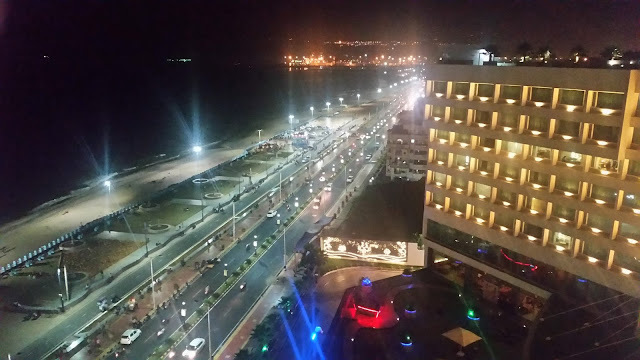 Even in some cities of South India, you will have dozens of Punjabi restaurants compared to a handful of Rajasthani, Kashmiri or Awadhi places. In our own Hyderabad, we see a lot of localization of the cuisine with souring agents and red chillies, suiting the local palate. 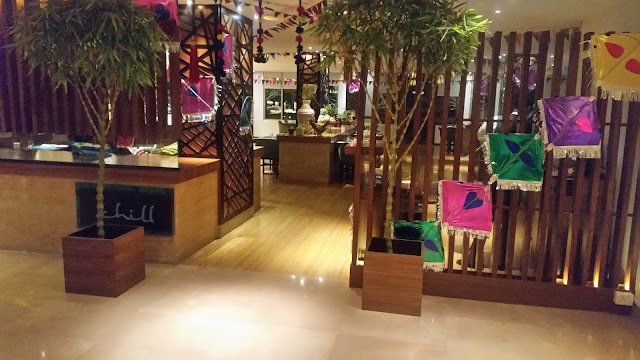 Against this backdrop, Executive Chef Chandra Shekhar Pandey at Chill Restaurant at Radisson Blu has tried to ensure that the festival presents some authentic Punjabi food with the right ingredients. The restaurant had been decked up like a Punjabi dhaba. As is usually the norm with food festivals in hotels, the buffet at Chill has continental as well as oriental dishes with the Indian items replaced by Punjabi dishes. This is to ensure that an in-house guest who may not like a specific cuisine have some other choices available. Invited to a Bloggers Meet showcasing the festival, we were welcomed with a special alcoholic drink which had jaggery as the main ingredient. The concoction worked out very well for me as I like gur a lot. 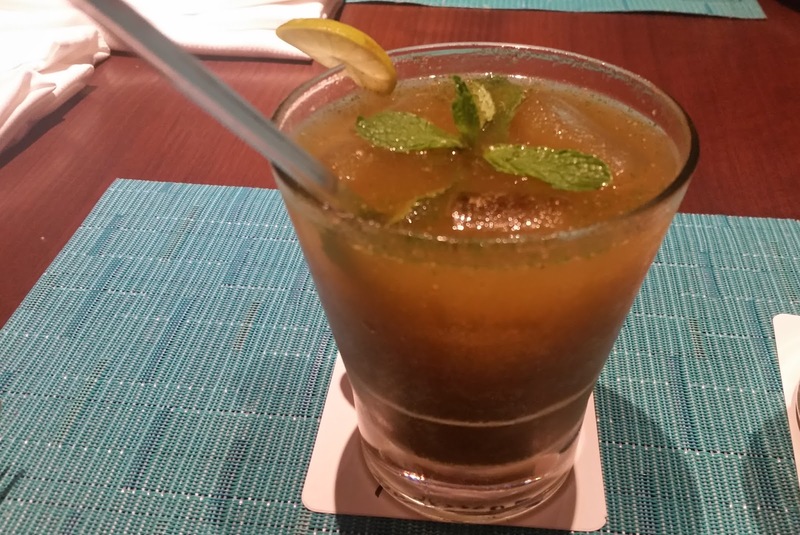 We were told that sugarcane juice can also be used instead of it. We started our dinner with the non-vegetarian appetizers. Bhatti Di Murgh, or chicken cooked in a kiln was easily the best of the lot. 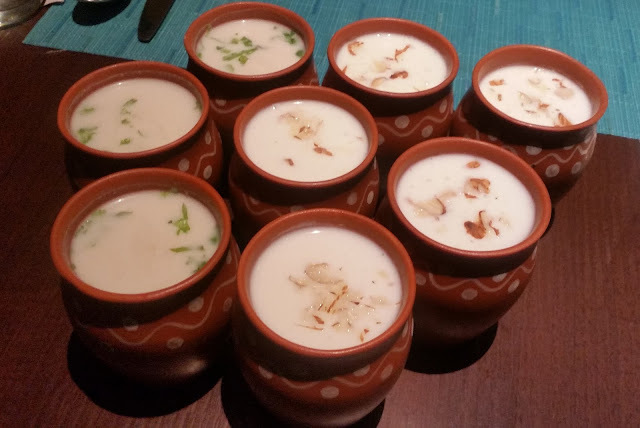 The Ajwaini Tawa Machhi was the right starter to go with the drinks. Murgh Malai Kali Mirch was the other starter on the menu. 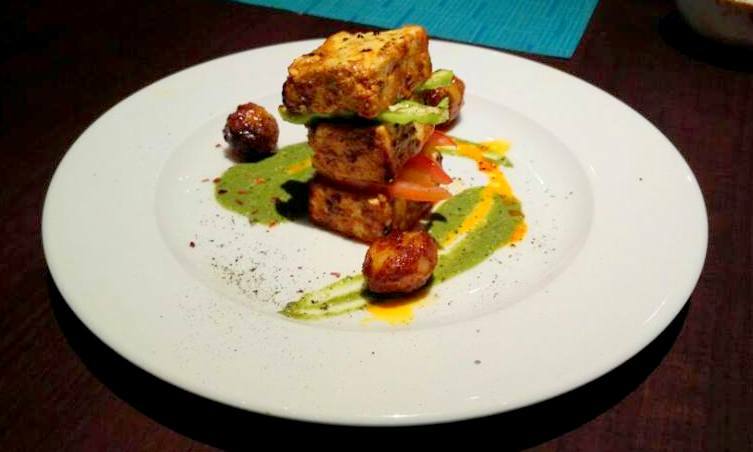 Among the veg starters, Achari Paneer was what stole the show. Thin fritters of baby corn were tasty, and there was another potato based spicy starter which was decent. The promotion had both sweet and salted Lassi. I went for the former and was not disappointed – it had the right density and taste. Next was the turn of Pindi Chana with Kulcha. I am a huge fan of this Amritsari dish and enjoyed it thoroughly. A mention has to be made about the quality of Indian breads served. Naans, rotis, and Kulchas all were very well prepared with adequate but not excessive ghee. The stuffed parathas were generally nice. There was a Brownie Paratha going around, but since I am not a fan of sweets in general, I avoided it. The pick of the main courses, in my opinion, was the Masaledar Kumbh. The mushroom gravy was rich and I enjoyed it with naan. 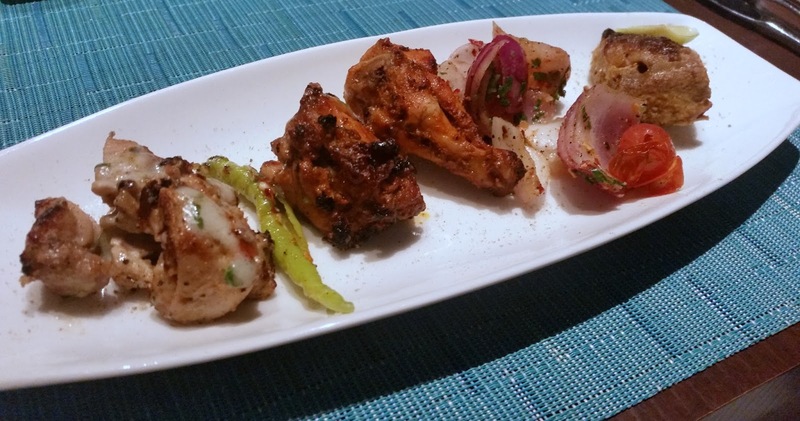 The other main courses were Paneer Dopiyaza in vegetarian and Rara Chicken and Patiyala Fish in non-vegetarian. The Gosht Pulao was a bit dry, but the lamb was cooked just the right amount, and I liked the taste of the masala. The desserts had one of my favorites – a live counter frying Jalebis to be savoured with Rabri. The Gulab Jamun was also soft and not excessively sweet. Moong Halwa was also on the buffet, but I did not try it. Overall, a decent festival for Indian food lovers as well as Punjabi food aficionados. The Punjabi items are included in their main buffet and priced at Rs 1250 plus taxes. The festival is on only for dinner till 24th April. 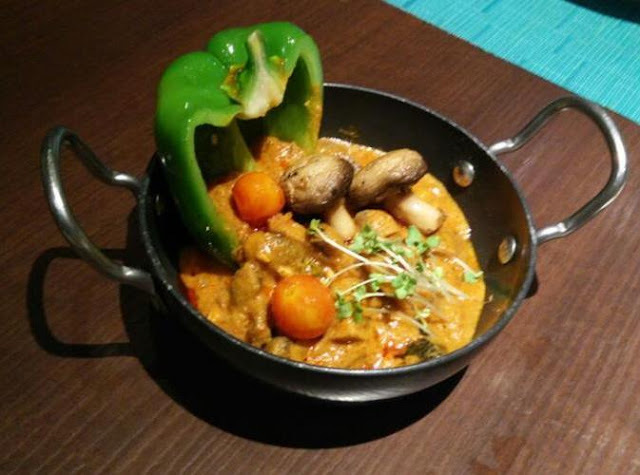 The Punjabi menu changes every day to provide something different to the regular customers and in-house guests. Disclaimer: The review is based on an invite from the restaurant. However, the opinion expressed in the post are honest and unbiased.